Design fashionable, comfortable knits garments. Sue Neall, Pati Palmer, and Palmer/Pletsch instructors world wide provide fitting and sewing how-tos for today’s modern knits with hundreds of real people photos for illustration. Learn how to achieve a custom fit using any pattern, not just those designed for knits. 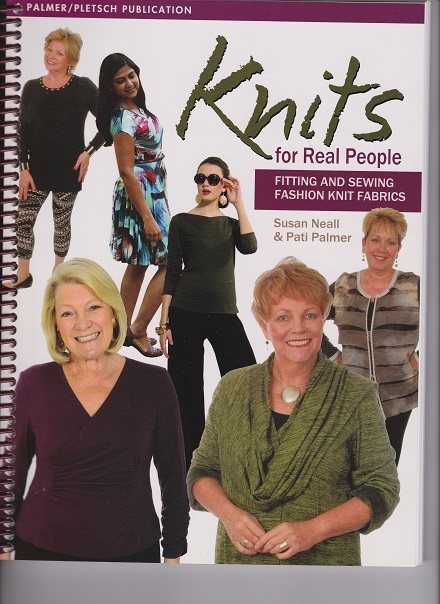 ” Knits for Real People” shows you how to buy the right size pattern and make the most important alterations.